Our keynote speaker Mark Jones is a well-known voice and a known face in the world of live events. He is one of the most experienced radio presenters in the UK and a talented, experienced MC & awards host. He has mingled with, interviewed and presented events with some of today’s biggest names. 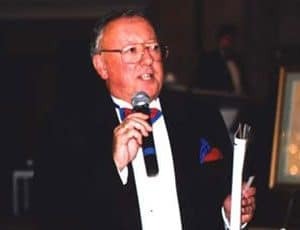 Mark Jones is able to entertain, host or compère all types of events and ceremonies - worldwide. 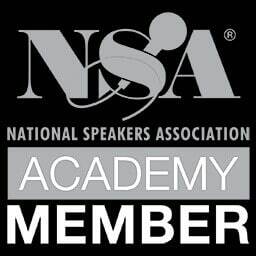 The keynote speaker Mark Jones will happily admit that hosting award ceremonies, conferences and sportsmen’s dinners are his specialist subjects. It’s where he’s happiest! He’s compèred countless events around the world, including awards, business summits, live Sky Sports and ESPN programmes, concerts, and many, many more. Mark even hosted a successful ‘sportsmen’s-dinners-for-the-troops’ tour across war-torn Kosovo with England World Cup winners and he’s even hosted the world-renowned dog show, Crufts at the NEC in Birmingham! In one 12 month period, Mark appeared in Brunei, made three trips (coast to coast) across the USA, plus trips host events in Malaysia, Portugal (twice), Germany (twice), Switzerland (twice) and Hungary. This meant 41 flights and over 123,000 miles. On top of that, he continued to host innumerable events around the UK. Mark regularly hosts Manchester United’s Player-of-the-Year awards, amongst others. He’s been MC for Sky Sports’ Masters Football since 2001, hosting their tournaments across the UK and in Dubai, Kuala Lumpur (twice), Brunei and Macau in China. He also presented all the live TV interviews. The charming speaker Mark Jones has also covered Rugby League and cricket too, featuring on Channel 4 and Sky Sports on the ODI Internationals, Test Matches and County games around the UK, where he presented the televised interviews with Sir Ian Botham, David Gower, David ‘Bumble’ Lloyd, Michael Holding and the late, great Richie Benaud. In 2001, Mark found himself close (much too close, in fact) to the Twin Towers in New York during the 9/11 terrorist attacks. He spent the rest of the day as a Salvation Army volunteer helping the Emergency Services. For the rest of that week, he reported ‘live’ from Ground Zero for UK radio. Mark Jones has unrivaled experience as one of the UK’s top radio presenters. He started at Liverpool’s (UK) Radio City during their illustrious heyday, and became an award-winner, including a ‘Sony’ for his hosting of Michael Jackson’s Aintree concert, (the ‘biggest solo concert in history’) where he entertained a crowd of over 125,000 from the stage. He’s also covered Manchester United, Celtic and Liverpool’s pre-season American tours for UK radio. 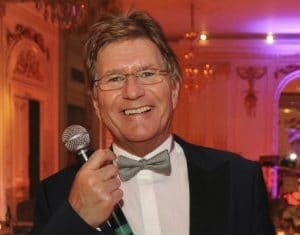 Possessing a delightful personality, our speaker Mark Jones regularly won ‘Presenter of the month’ plus various accolades from the Variety Club of Great Britain where Mark is a Barker. After several successful years at regional station Century FM (now Smooth), Mark returned to host a daily UK-networked programme. He was regularly heard on Manchester’s Magic 1152 (formerly Piccadilly Radio) too. He even spread his experienced wings (and tonsils) overseas and featured on American radio stations WEFT and Q-96 in Champaign, Illinois, where he also hosted the American Heart Association black-tie fundraising dinners. Not limiting his talents to radio, our charismatic speaker Mark Jones has written and published several books, including the best-selling ‘Mark Jones’ Birthday Book’, which was the definitive UK Radio reference book. Mark Jones is the PERFECT host for awards, sportsmen’s dinners, Q&As, conferences, corporate events, fundraisers and more. Mark Jones works across the UK & Worldwide.